I have a problem. I love donuts. And I am usually pretty good at avoiding them or saying no thank you to them most of the time. Except. Except when I am within 1 mile of Round Rock Donuts. Heaven help me when I am close by because I will do anything to get my hands on one of those yellow circles of deliciousness. 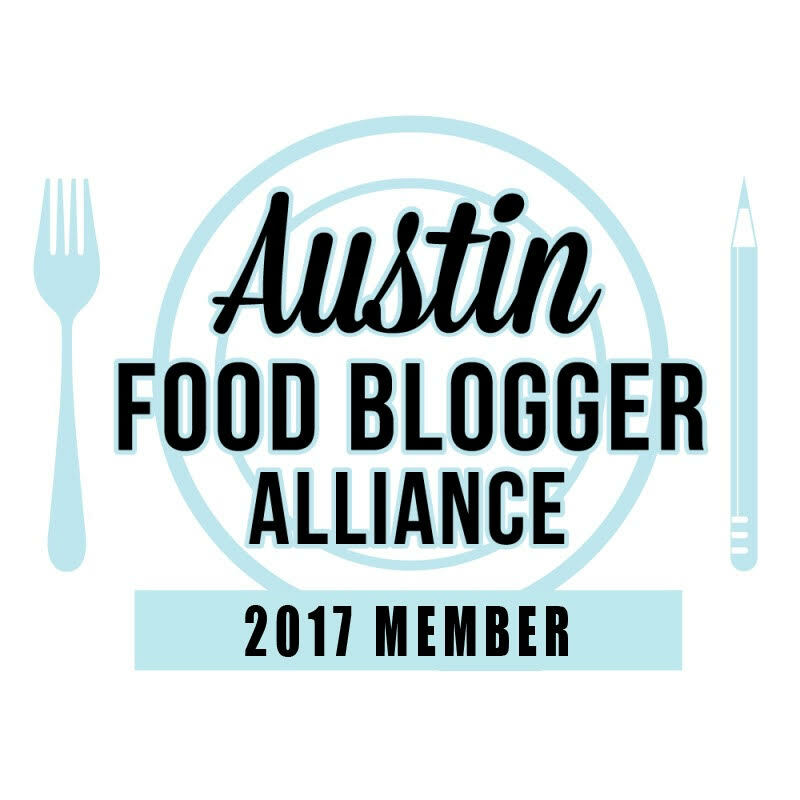 If you live in central Texas then you have probably heard of them. If not, if you find yourself within 30 miles of them, make a trip to get some. 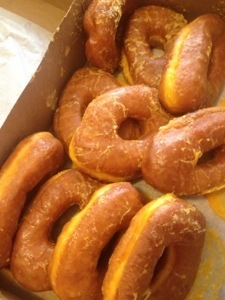 These donuts are the best you will ever have and they melt in your mouth when piping hot. 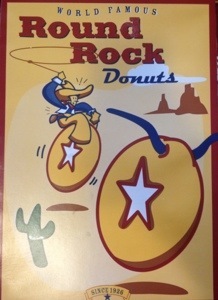 This morning I had to go to Round Rock and couldn’t pass up getting me some donuts. Of course I also had to get some other items to test them for you all. Of course. It’s research right? So we know those yellow round things are my favorite. But have you tried a cake donut, baked cinnamon roll or eclair? Oh so good. 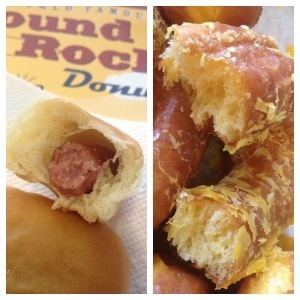 And of course I had to have a sausage kolache to even out the sweetness of the donut. All in moderation though. I shared this bounty with family. 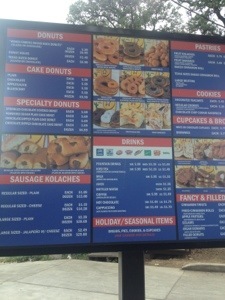 Be sure and head on over to Round Rock Donuts if you are in the area. I dare you to have just one. I can’t. Gurl! 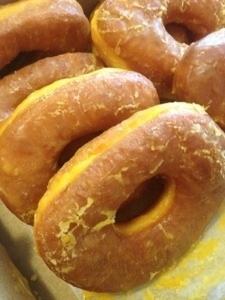 I can't believe you didn't tell me about this donut heaven! We who are twins from different mothers! 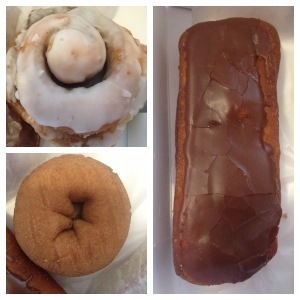 You must know I LOVE donut, especially honey glazed or chocolate frosted. Oh, well I was saving these treats for your August visit! As a surprise. Ah I'm glad I don't live near there!! I just tried Gourdough's for the first time last week & am already craving them again. Nom nom nom! That is one of the places I want to go visit. The banana split doughnut looks ridiculous. Ridiculously delicious!